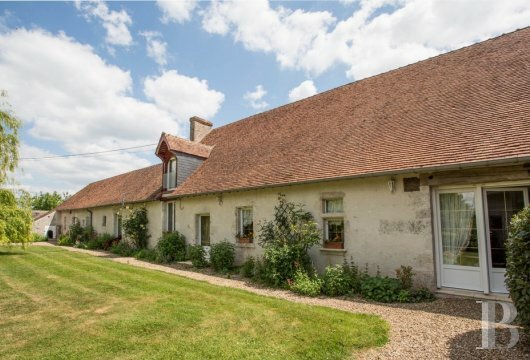 This property, between the Val-de-Loire and the Sologne regions, is two hours from Paris by car. It is in an area where architecture and natural surroundings go well together. It is less than thirty minutes from the Loire’s most famous chateaux (Chambord, Cheverny, Blois, etc.) and Sologne’s large forest estates. 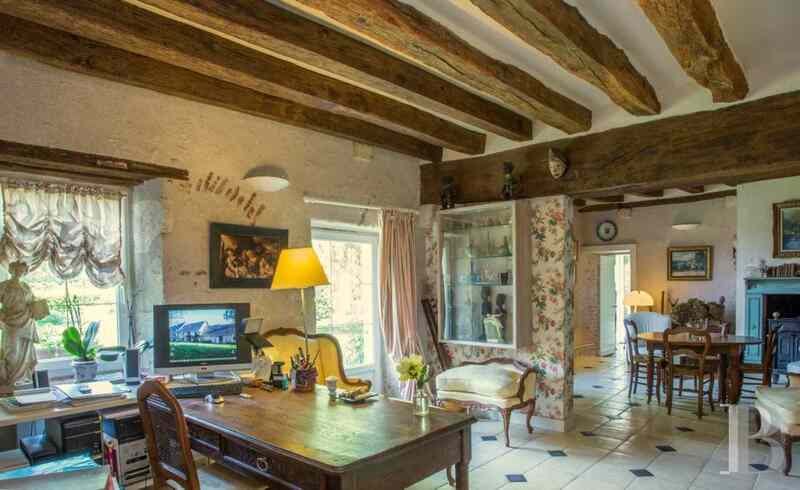 The prefecture town of Blois, with all its shops and amenities, is fifteen minutes away. 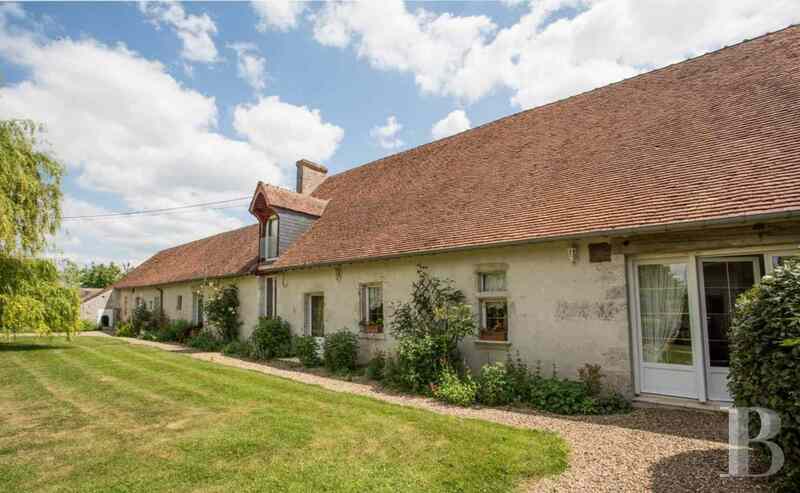 Not far from a quiet village in the French department of Loir-et-Cher, this property is on a plot of land in the middle of a natural setting comprising vines, forest and farmland. 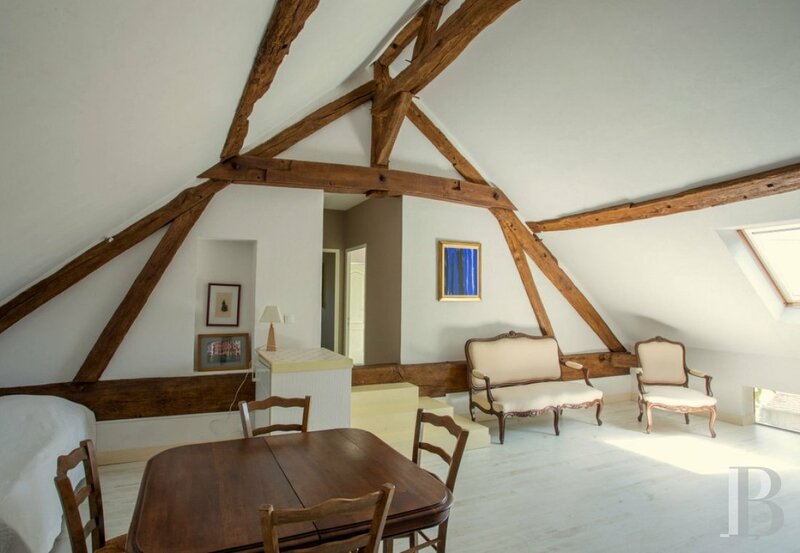 This property is an old 17th century wine storehouse that has been fully renovated. Several buildings, constructed from stone quarry blocks, covered with old-fashioned rendering and topped with traditional tiles, are set out to form an enclosed vineyard. Adjoining, they look out over a large landscaped courtyard with a central, majestic weeping willow. A completely separate barn, open on the ground floor, has a slate roof. 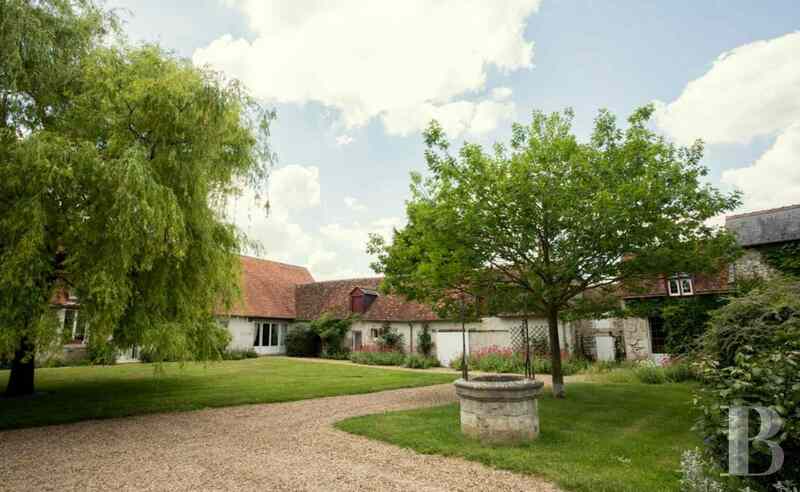 The main house, facing the entrance gates and the lawned courtyard, takes up the longest side of the enclosed vineyard. Facing north-south, it spans a floor surface area of approx. 350 m² over two levels, one of which is under the rafters. 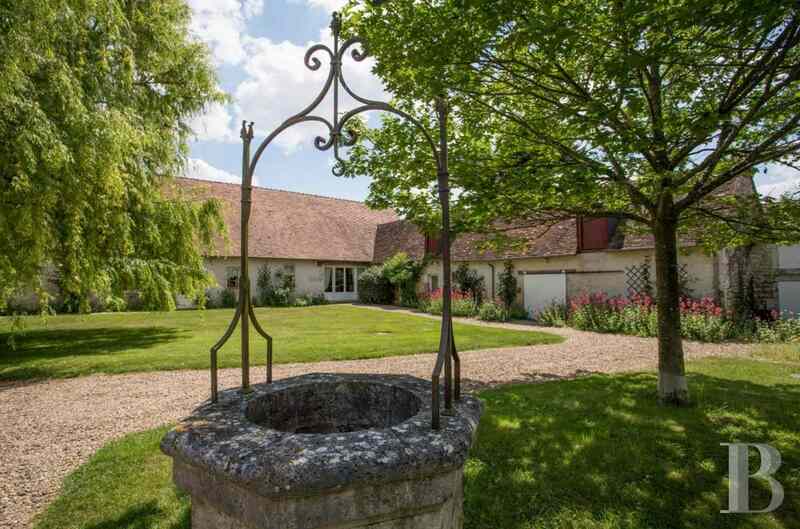 It is in pristine condition as it was fully renovated by its current owners in 1996. 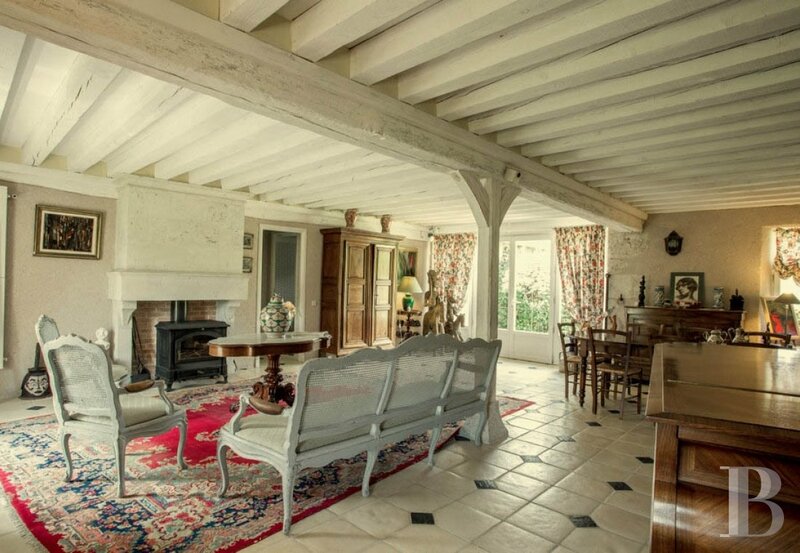 This floor comprises the main reception rooms, including a dining room and a lounge with a fireplace. 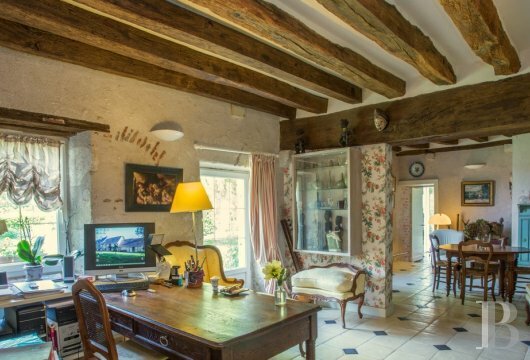 The floors are paved with flagstones and the ceiling features exposed white-painted beams. A second lounge also has a fireplace. These are followed by a kitchen and a stairway leading to an upstairs bedroom. After the main reception rooms are two, wallpapered bedrooms and a shower room with a toilet. A last wallpapered bedroom has its own bathroom. There is also a separate toilet on this level. A stairway, made of light-coloured wood, goes up to a landing which provides access, right, to two bedrooms with their shower room and, left, to two other bedrooms with a shower room and a toilet. There is also a linen room. The bedrooms feature parquet flooring or carpet as well as the exposed oak wood roofing framework. 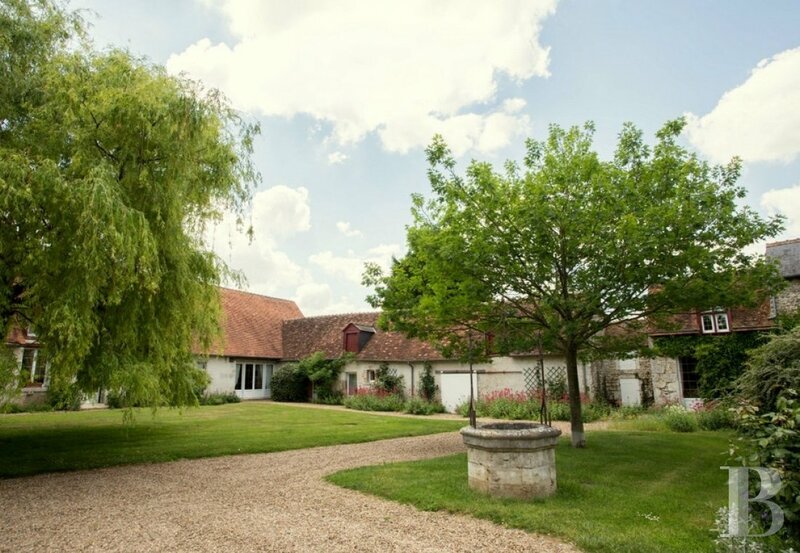 The dovecote, on the right-hand side of the enclosed vineyard, comprises a small lounge on the ground floor and a bedroom with a shower room and toilet on the first floor. It is followed by a 25 m² workshop and a linen room laid out in a small outbuilding. This outbuilding comprises a bedroom with its shower room and toilet on the ground floor. Upstairs are two bedrooms, a shower room and a toilet, together with a living room. 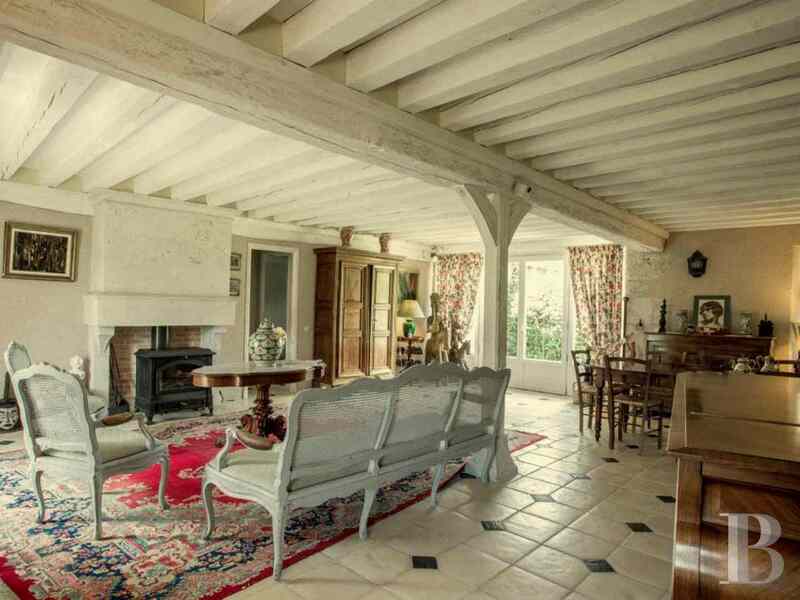 It has exposed ceiling beams throughout. This barn, covered with Virginia creeper, stands completely separate from the main house. The building is partially open on the ground floor, resembling a covered terrace. It also houses the boiler room. A wooden stairway goes up to an attic which could be converted. Wooded, landscaped parklands are laid out with lawns, flower beds, ornamental shrubs, a large orchard, a vegetable garden, a well and a pond. They are fully enclosed and completely unoverlooked. 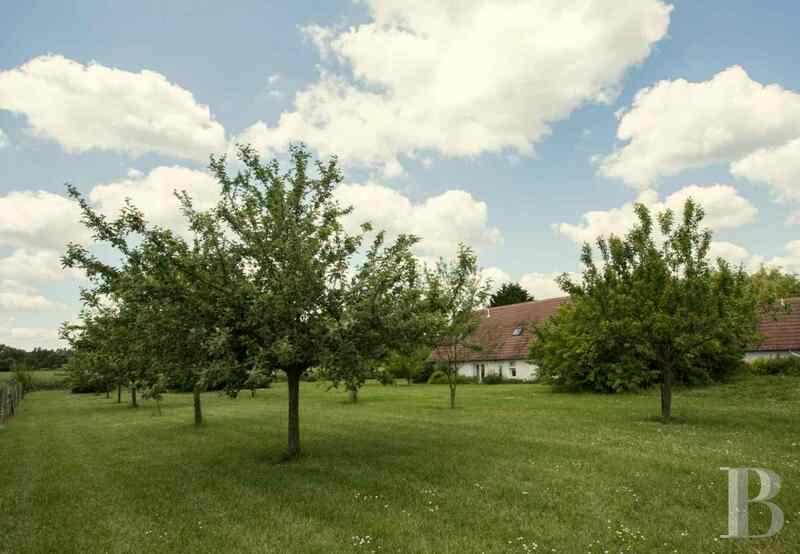 These buildings, laid out lengthways, delimit a little enclosed world facing its trees, its well and its lawns. There is an immediate feeling of peace and quiet. Inside, the rooms vie with one another to see which one has the most exposed beams; the winner is not obvious. The numerous bedrooms could accommodate a large family, friends or paying guests drawn by the wealth of heritage in the local vicinity. 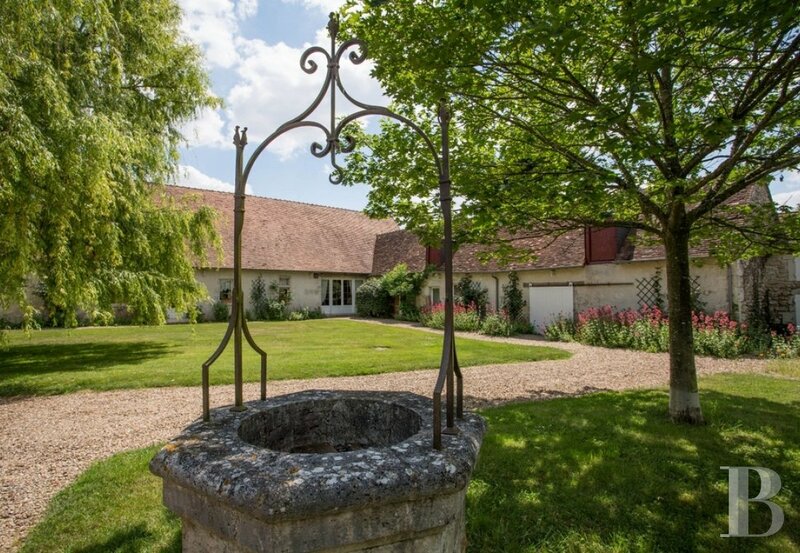 The nearby golf course or Sologne’s large hunting estates will appeal to others.